Do you use LinkedIn to market yourself? 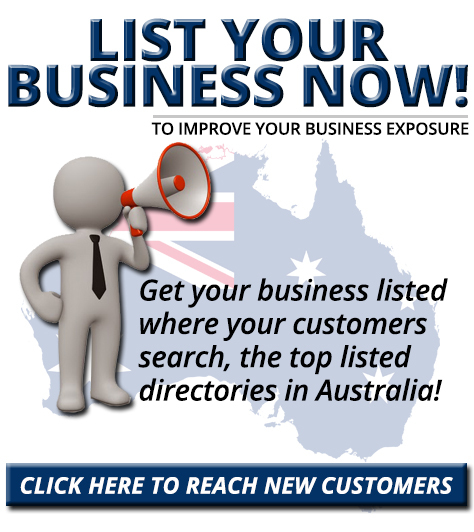 Want to make it easier for people to find you in Internet searches? With a few tweaks, you can improve the chances of the right people finding your LinkedIn public profile. In this article you’ll discover how to create visibility for your LinkedIn public profile. Thanks to Lisa Larter for writing this article. What Is Your Public Profile? Your LinkedIn profile has two components: the profile that LinkedIn users can see, and the public profile anyone can see with a simple Internet search for your area of expertise, even if they’re not a LinkedIn user. 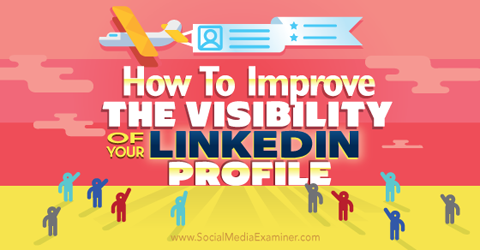 Discover how to improve visibility for your LinkedIn profile. This article shows you the steps to improve your profile’s public page, which includes assessing your regular LinkedIn account. The goal of having a stellar public page is to entice people to view your full profile, so both pages need to be in great shape. Here are some ways you can improve the visibility of your LinkedIn public profile. First, you want to ensure that people can find your profile when they do a public search. 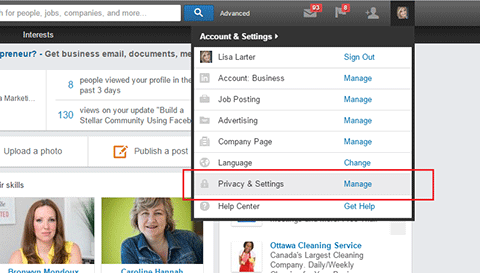 Locate the Privacy & Settings option on your LinkedIn homepage and click Manage. To access your public profile settings, click your profile image and select the Privacy & Settings option. On the next page, click Edit Your Public Profile. Click Edit Your Public Profile to see what items are displayed on your public profile. The right side of the page shows a list of items that are displayed on your private profile. You can choose which items to show on your public profile. You can choose to share only a few sections of your profile with public viewers, or be fully transparent and show all sections. Make sure that you enable the setting that allows anyone to see your public profile. Select which items you want to appear on your public profile. If key information isn’t showing up on your public profile, such as your publications or awards, go ahead and check those boxes. You want to show public viewers as much as possible to convince them to view your full profile and make a connection. You may be wondering why you’ve checked the box to show your entire profile. Your public profile will never display rich-text media like videos or full-text recommendations. Therefore, your description of your job experience is the most important part of your profile. Make sure that this information is in top-notch shape by using the tips discussed next. Now, you want to take a look at your public profile, so sign out from LinkedIn. Otherwise, you’ll see your full LinkedIn profile and not the public version of it. Next, type your name into the Google search box. 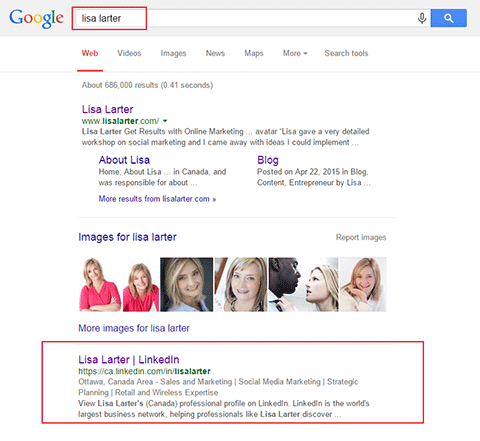 One of the first search results that appears is your LinkedIn profile. Click on your profile. 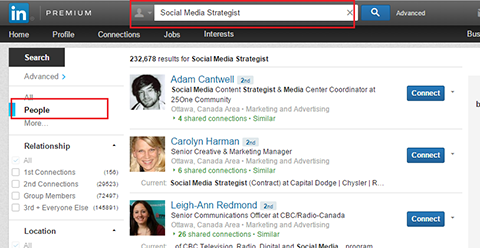 Do an Internet search to find your LinkedIn public profile. You’ll see the version of your profile that is available for anyone to see. 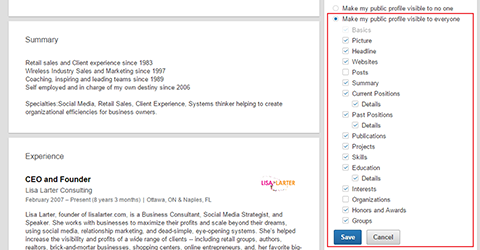 Assess your LinkedIn public profile to identify areas that you can improve. 1. What critical information is missing? 2. What important messages am I not communicating about my work and experience? 3. What do I want people to view on my public profile that isn’t there right now? 4. What is shown on my private profile that would be beneficial to show on my public profile? Write down the answers to these questions so you can make changes when you log into the full profile. By answering these questions, you’ll have a small database of words and phrases you can use to improve your profile. Visit your LinkedIn account and update the content. Make sure that all of your skills are listed, your job descriptions reflect what you’re doing and everything is up to date. Spend some time updating all of the content based on your answers to the four questions above. It’s important to optimize your profile for keyword searches so more people can find you. Search for your keywords with LinkedIn’s search feature to create a list of keywords that are relevant to you and your business. For example, you may list the word “sales” as one of your keywords because it’s one of your areas of expertise. Search for your main keywords to see where your profile shows up in search results. Look at the results to see where you show up and which users are ahead of you. View their profiles and take note of how often they use the keyword and how they’ve strengthened their profile around that term. If you visit a user’s profile, the keyword you searched is highlighted in yellow throughout his or her page. 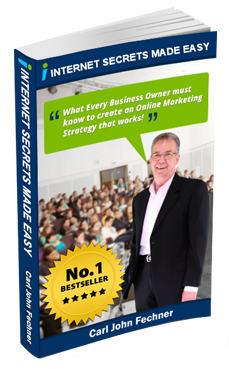 Then go into your own profile and add the keywords strategically. 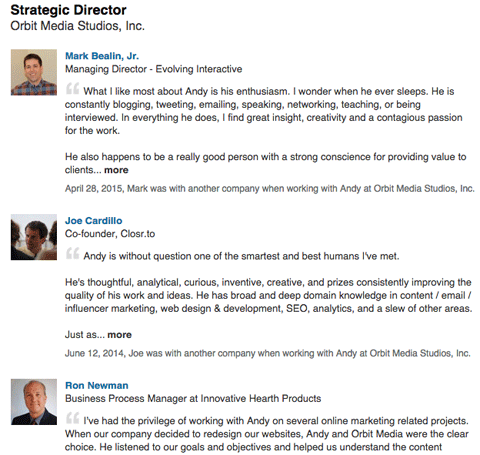 You can include keywords in your summary, job descriptions or headings. Keywords help people see your expertise and find you more easily. They also increase your exposure on the platform. Now that the content of your public profile represents you accurately, it’s time to update your URL. Creating a public profile URL boosts your profile ranking in search engines. With a custom URL, your profile will rank higher in Google so more people can find it. It’s also easy to remember a custom URL so you can hand it out to people. By taking the steps above, you have a greater chance of people visiting your profile who are looking for your expertise. Your ultimate goal is to make a connection with them on LinkedIn. Make sure that when people click View Full Profile on your public page, they’ll be able to see even more high-quality information about you. What can private viewers see that public viewers can’t? This is a chance to differentiate your profile and optimize features that can’t be shown in the public profile, like recommendations and rich-text media. For example, if you regularly post videos on YouTube, share that content with your LinkedIn connections in the Experience section of your profile. Andy Crestodina enhances his profile by sharing video in his Experience section. Public viewers can see the number of recommendations you have, but they can’t see what’s written or who made the recommendations. Ask others to write recommendations for you, and reciprocate by giving recommendations to others. Recommendations are a great way to stand out from other LinkedIn users. Recommendations are your social proof for people who have already seen your public profile and are looking for more information about you. It’s akin to the testimonial page on your website. The goal of improving your public image on LinkedIn is to get high-quality connections. With a premium plan, you gain access to additional features such as seeing people who viewed your profile, requesting and making introductions and mailing other users from within LinkedIn. By following the tips in this article, your LinkedIn public profile will accurately reflect the best of who you are and what you do, improving your chance that the right connections will come your way. What do you think? 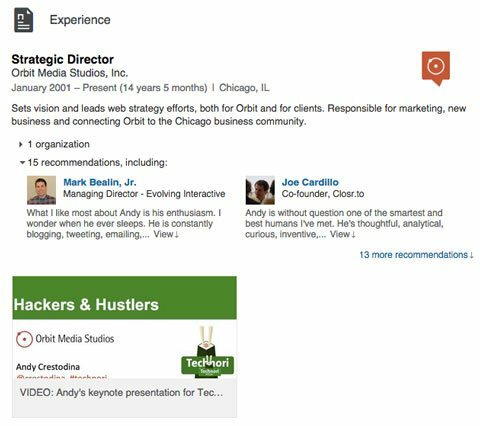 Have you tried any of these tactics to improve your LinkedIn public profile? Have you gained any new connections? Please share your thoughts in the comments below.